Need a break from communal cabbage-hunting? Try one of the best MMORPGs on PC. 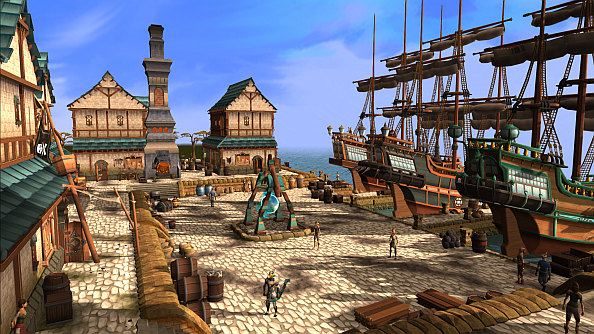 The quest comes as part of wider plans for substantial updates throughout 2016 in celebration of RuneScape’s 15th anniversary. If teased concept art at the talk is anything to go by, expect an underwater boss fight and an island full of prehistoric monsters – think T-Rex mobs. The MMO’s latest client is based on C++ rather than Java, so the ceiling for visual loveliness is higher than before too. Andrew says it’s his personal mission to include as many cabbages as possible in his quest. That got a big laugh in the hall – the vegetables are a running joke in Runescape, thanks in part to the fact that RuneScape Classic chat replaced swears with the word ‘cabbage’ in its early years. A god, Brassica Prime, sometimes takes the form of a cabbage, and a deadly breed roam the seas around the Wushanko Isles. Would you sooner spend 2016 playing vanilla RuneScape, the wilfully nostalgic Old School RuneScape, or the wilder, lawless DarkScape?